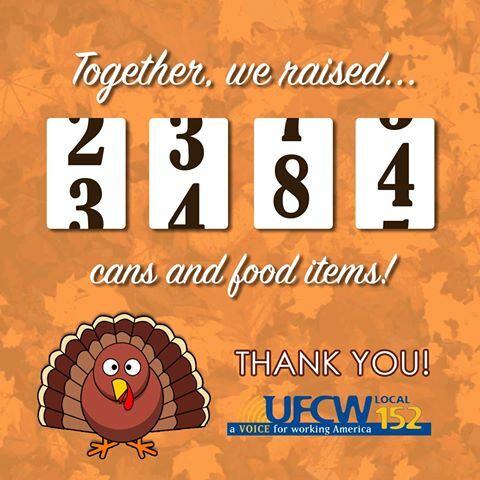 In the days leading up to the Thanksgiving holiday, UFCW members from local unions around the country came together to give back to their communities. 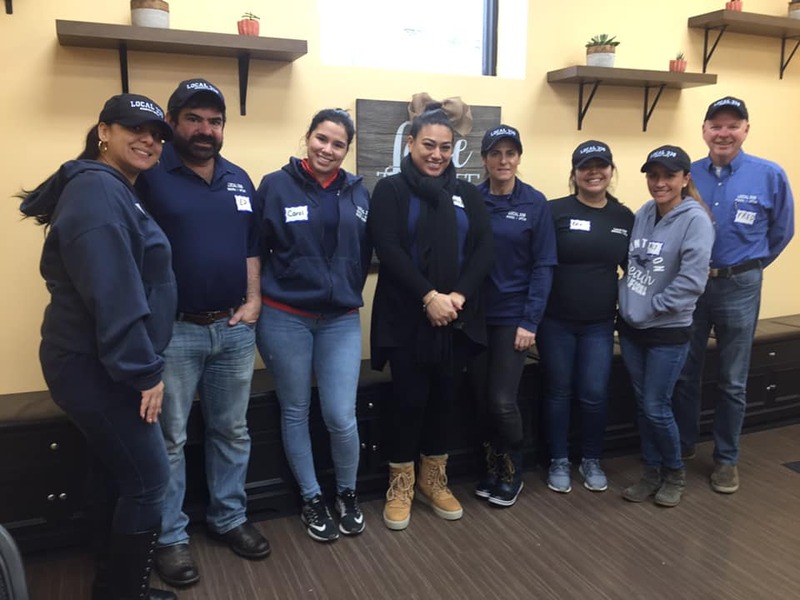 UFCW/RWDSU Local 338 members volunteered at The INN in Hempstead, New York. 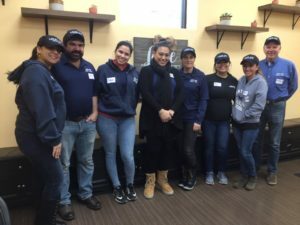 A not-for-profit, volunteer-based organization, The INN provides a broad variety of essential services to assist those challenged by hunger, homelessness and profound poverty and is the largest private social service agency of its kind on Long Island. 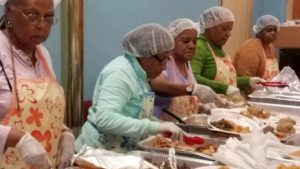 The Hempstead soup kitchen was founded on the principle that everyone would be treated with dignity and respect – a belief shared by our union family. 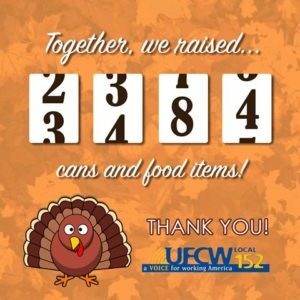 UFCW Local 328 members pooled their resources to make a difference in the lives of 220 families, and UFCW Local 152 used a little good old-fashioned competitive spirit to collect 2,475 cans and other food items for their local area food banks. 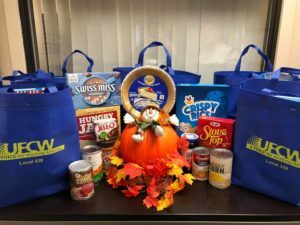 UFCW Local 342 members helped out with their annual Thanksgiving drive by not only donating goods, but also volunteering their time. On Saturday, November 17th, volunteers gathered at Mariner’s Temple Baptist church in New York City to make sure families in their community could have a home-cooked Thanksgiving meal. Food for the drive was collected in bins at the local union offices leading up to the event. 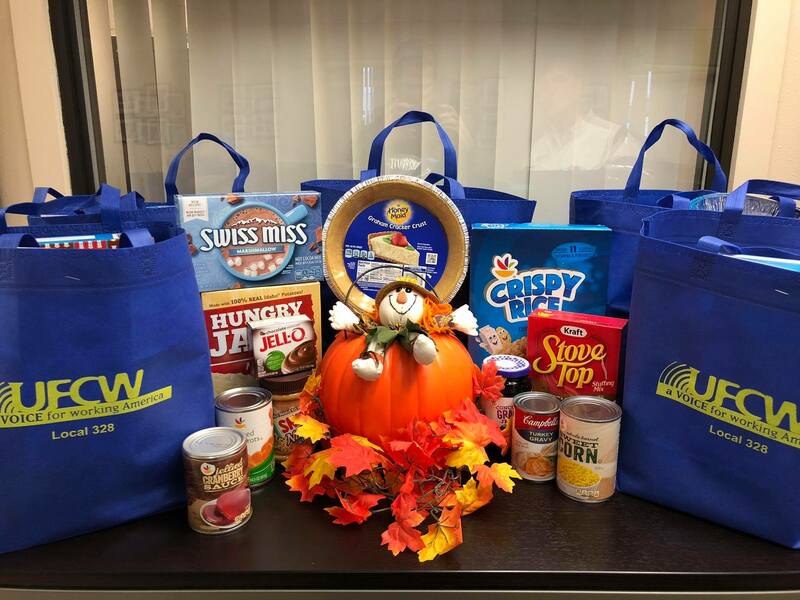 UFCW Local 1167 helped to distribute pumpkins to preschoolers and kindergartners in San Bernardino, California, and UFCW Local 1208 donated turkeys for a United Way “United in Thanks” event to feed the hungry in Lumberton, North Carolina. If you would like to share a story about how UFCW members are helping their communities this holiday season, please email us at submissions@ufcw.org.